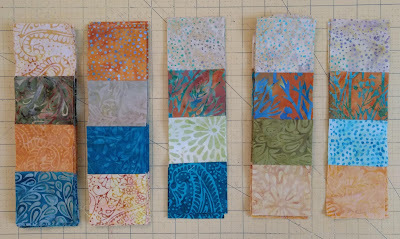 I've managed to finish up all 25 blocks for my Island Batik Ambassador challenge for this month! For the last blocks, I needed to mix in a few more black fabrics, but I ended up using only two different pink fabrics for my blocks. In the process of making all of the blocks, I made sure to press my blocks such that it would be very, very easy to nest seams in the blocks as I put the quilt top together. 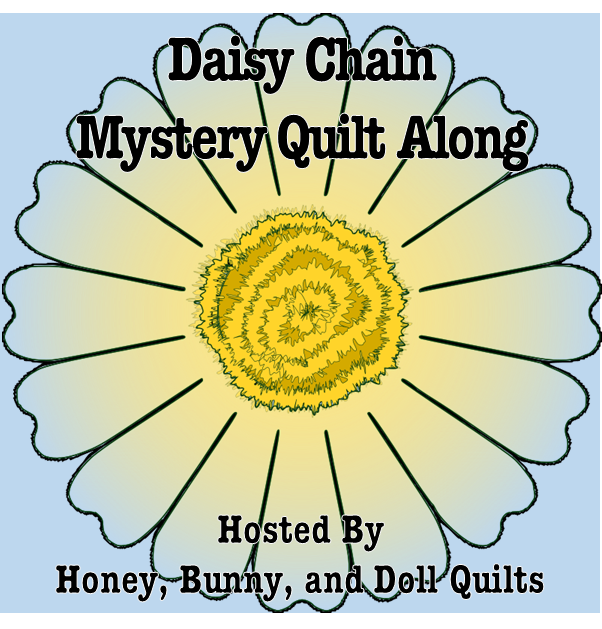 Now my quilt is a lovely 40 inches square (as specified by our challenge requirements!) and ready to be quilted! Getting some backing fabric for this quilt is on my next item of business and I have pink fabric set aside for binding too! Who says you have to go to DC to see good cherry blossoms?!? 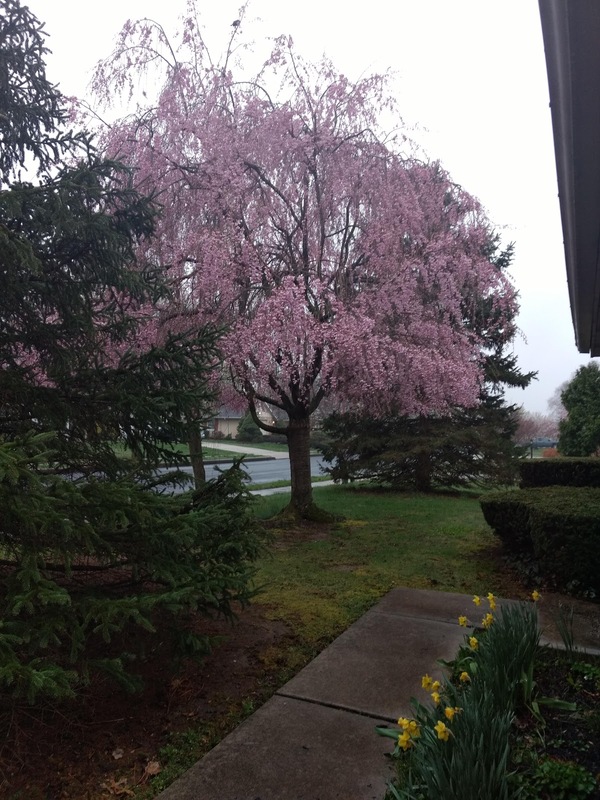 I don't think my tree is same varietal as the Japanese cherry trees in DC, but my tree was extremely lovely until a stupid rainstorm knocked off a good portion of the petals and I was happy that I took this picture the day before the rain moved in. 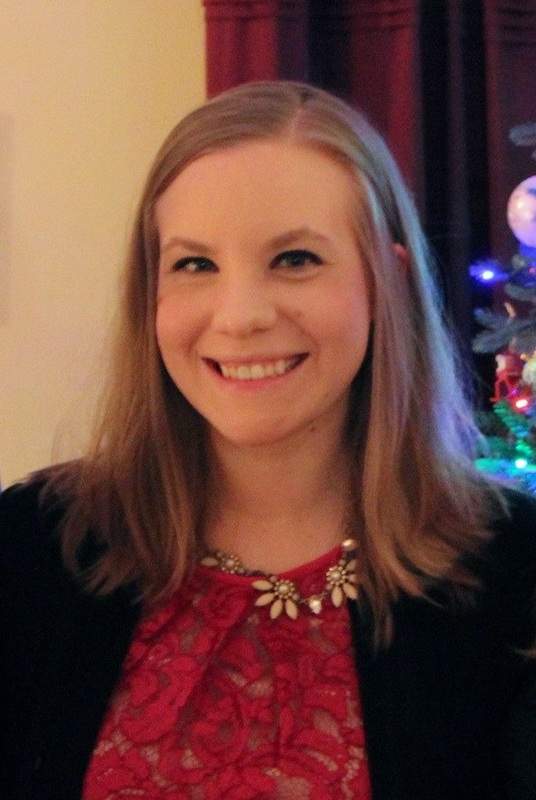 Happy Easter to all, I am going to be hosting a small troupe at our house on Sunday which will be a good mish-mash of our local friends and coworkers. 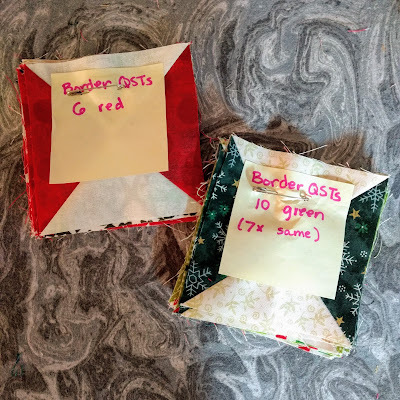 Being sort-of caught up with my sewing commitments (but alas, way behind on my WIP/UFO progress), I had a little time to work on my Jingle Bell Square units and blocks. I shared about the start of this quilt a few weeks ago. With each block requiring five QST units, I seem to have become a QST factory. I find that it's easiest to make a small batch of red blocks and then make a small batch of green blocks. 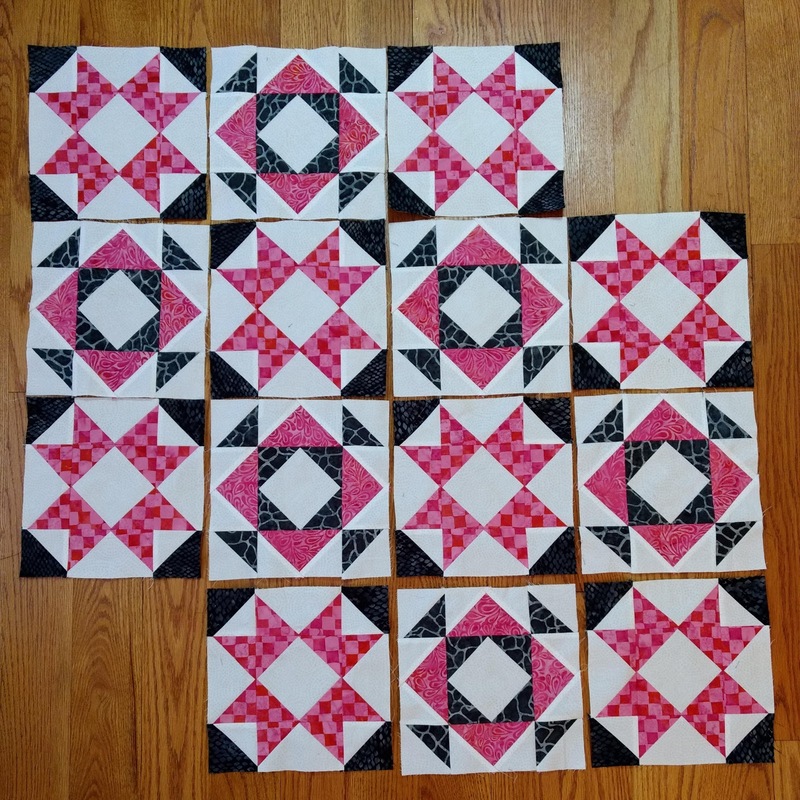 One thing that I think I neglected to mention (but is easily seen in the finished quilt) is that when I am making the large QSTs, I'm saving half of them for the border. I've been using my Accuquilt cutter to cut the parts for the center QST units, but I've been rotary cutting the rest of the block parts. It does take a while to trim down the small QSTs but I haven't had too many turn out wonky just yet. For some reason, it makes the most sense in my mind to make sets of three blocks at a time. 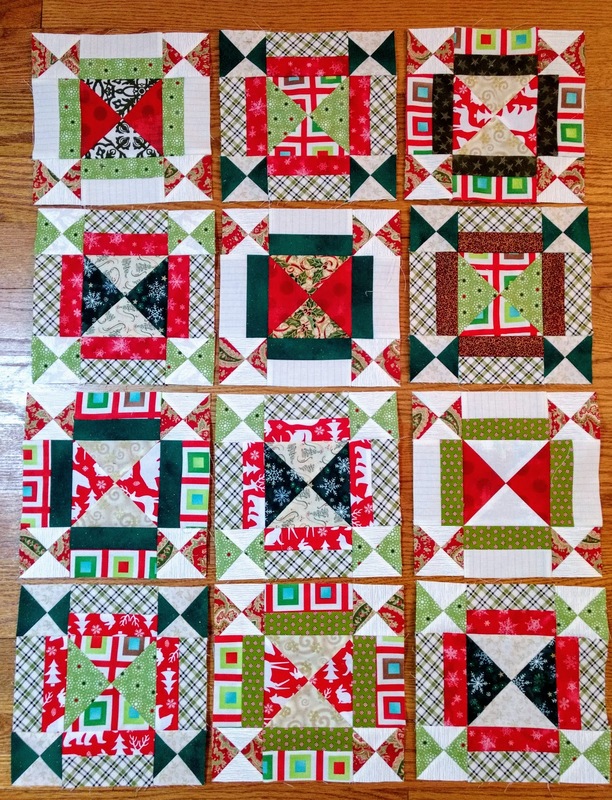 Three red finished blocks, three green finished blocks. Now I have a total of 12 blocks (6 from previous, and 6 from this last week) -- this means I'm a hair under a quarter of the way done with my blocks! In an effort to cull my thread collection slightly, I've been trying to use colored thread when I can in a lot of my projects. 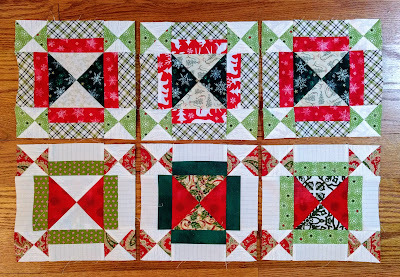 I have my spool of red and spool of dark green Aurifil at the ready for working on these blocks. I have been using a neutral color like cream, grey, or white in the bobbin so that I don't have to change the top thread AND the bobbin. I'm temporarily at a stopping point with this quilt. 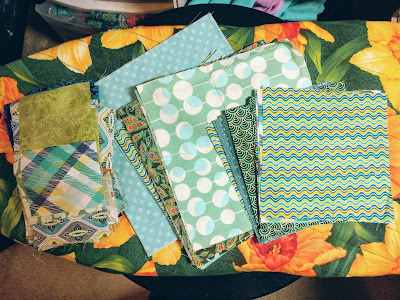 I need to dig through some scrap piles and find a few additional "light" fabrics to mix in for my large QST units. I may have exhausted my supply of neutral Christmas and holiday fabrics already, but that's totally okay. 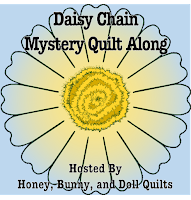 Sharing at Wait Loss Wednesday Let's Bee Social, and Needle and Thread Thursday! Are you still stumped by what we've made thus far? Fair warning -- today's clue will probably confuse you more! This week we are back to making four patches -- sort of. 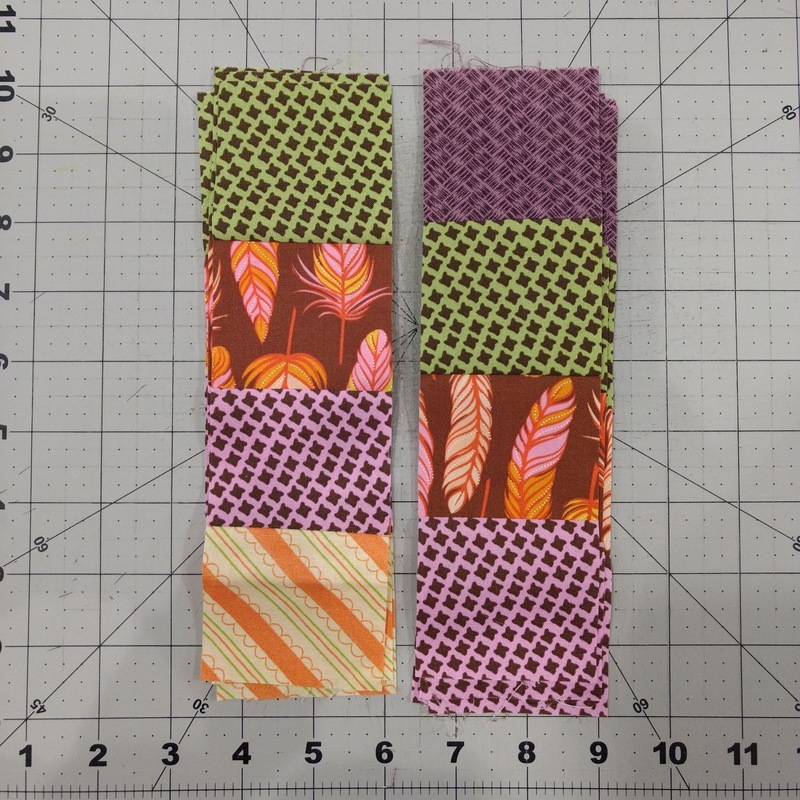 This week we are going to use our 2.5” strips to make strip sets of 4 fabrics and cross cut them into linear four patches. Baby quilt note: as in week 3, you will not need a full WOF to to make your 8 linear four patches. 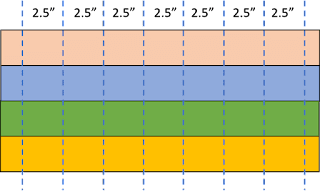 If you have strips that are at least 20” long, this is sufficient for this step. 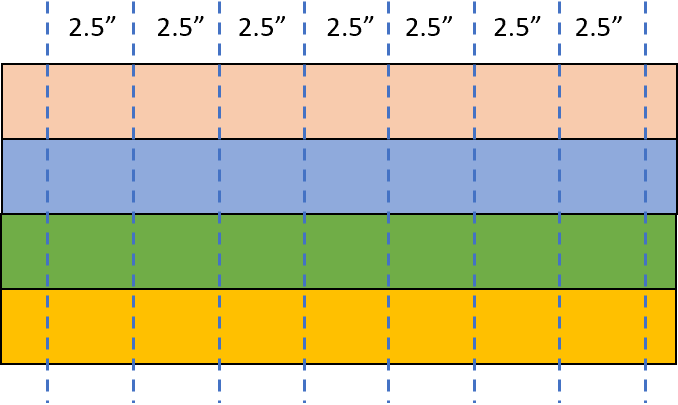 Choose (4*/8/12/16) 2.5” x WOF strips (I). Sew together into strip sets of 4 strips apiece, which measure 8.5” across. Subcut as noted below. Press as desired for this step. 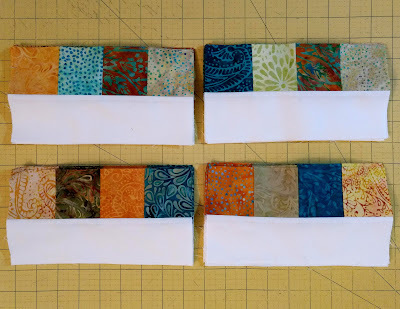 If you’ve saved the leftover strip set stubs from Week 3, feel free to integrate those as part of your strip sets to save fabric if you desire. 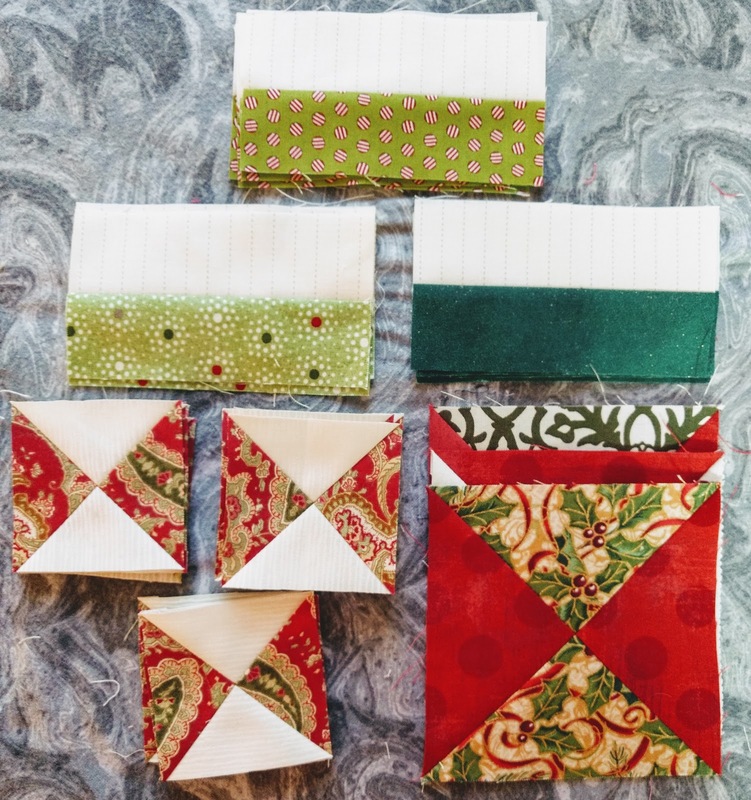 Use your smallest scraps first in this step - this is our last week of unit piecing! 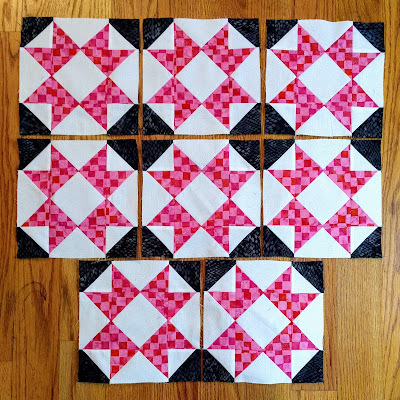 Scrappy Version: combine four 2.5” squares to make the required number of linear four patch units that are 2.5” x 8.5”. 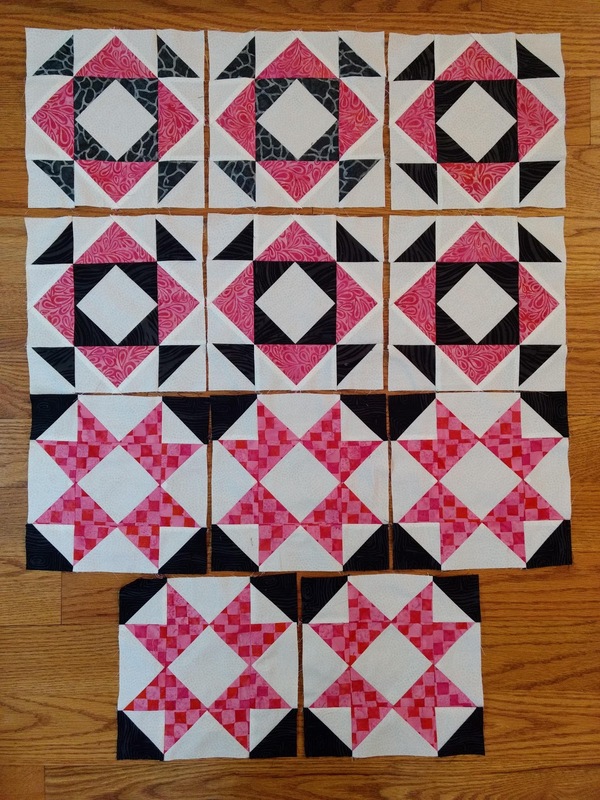 To one side of your 8.5” x 2.5” pieced strip sets, sew a 8.5” x 2.5” background rectangle (B) to make the noted number of border chunks. Your border chunks will measure 8.5” x 4.5”. 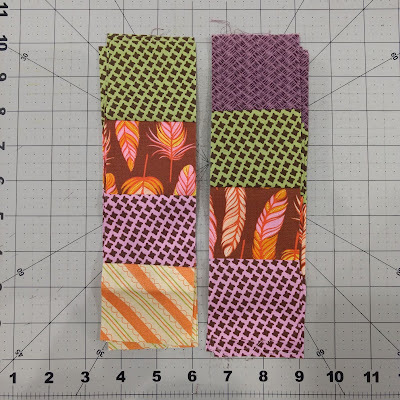 Here are the linear four patches from my baby sized quilt; I used the strip pieced stub left from Unit B and some of my shorter strips of 2.5" fabric to make two different versions for variety. You can choose to make these all the same or all different -- do what works best with your fabrics! 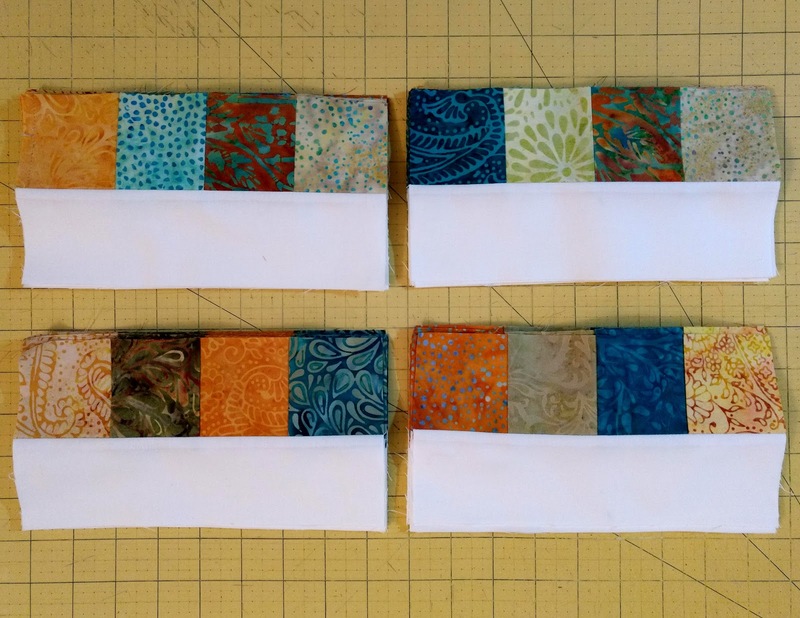 For my Island Batik twin version, I pulled eight (8) new 2.5" strips from my strip pack to make two (2) four fabric strip sets first and subcut those. 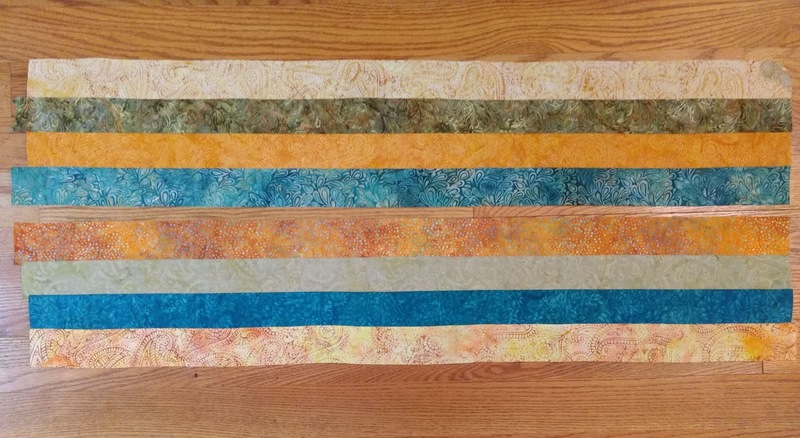 I then used the scraps left from Unit B combined with two (2) full WOF strips from the strip pack to make the rest of the necessary linear four patches. 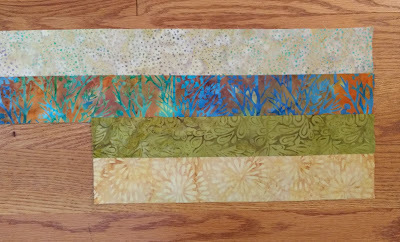 Here's my "two new" WOF strips added to the leftovers from one of my strip sets from Unit B.
I cut as many as I could cut from this 4-wide section and repeated with more Unit B scraps. 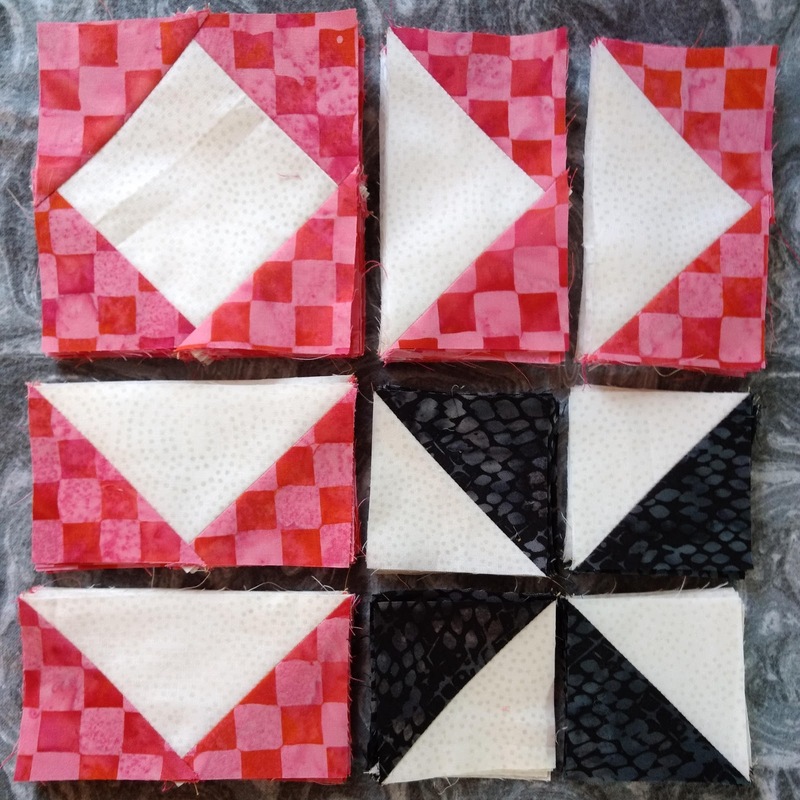 I had a total of 5 different "patterns" of linear four patches for my twin sized quilt. 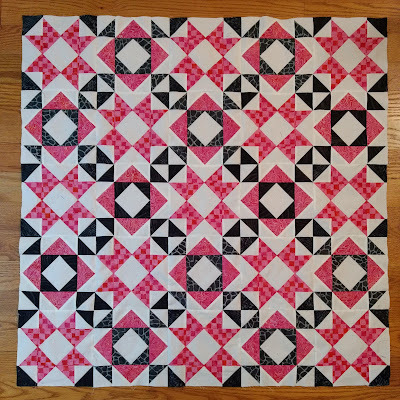 If you want to add additional variety to the quilt, you can add your background rectangle to either side of your linear four patch. 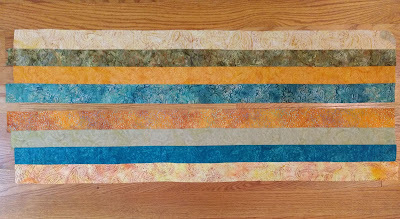 If you're planning to just use two or few fabrics for your linear four patches (or are using just a single strip set for the baby quilt) I would highly suggest using the above suggestion and making mirror image border chunks by adding the background rectangles to half of the linear four patches on one side and half on the other side. -- Stephanie's Halloween themed quilt is going to be adorable! -- Christina has very scrappy units! -- Gene is having fun making "planned random" units. -- Kate is continuing to use her scrappy tan fabrics. Please note that the schedule for the next few weeks is slightly different! In two weeks, on April 29th, we will have a link up to show off where we all are with our block units. The following week on May 6th will be our first top construction week. Block Units - April 15th <--- That's today! I've been working on some alternate blocks for my Ready, Set, Go! baby quilt challenge. I'm working on the "Mosaic" blocks this time around -- with a slightly modified color arrangement. 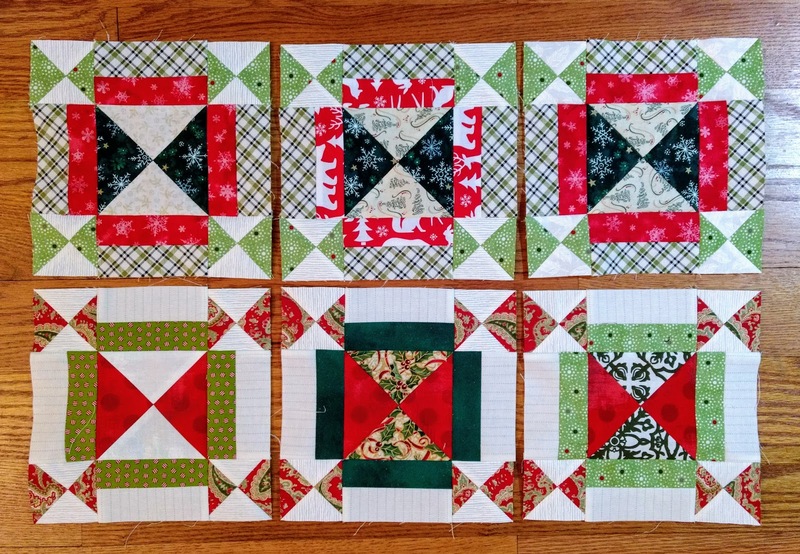 Like before, the cutting for these blocks using the Accuquilt GO! cutter was fast! 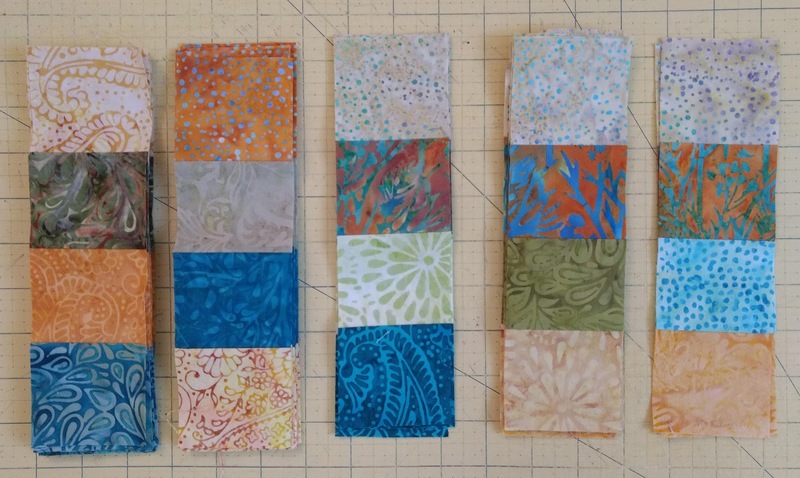 I like to keep the pieces stacked together in pairs and sets of four -- it makes it easier to keep track of the right side and wrong side of the batik fabrics. 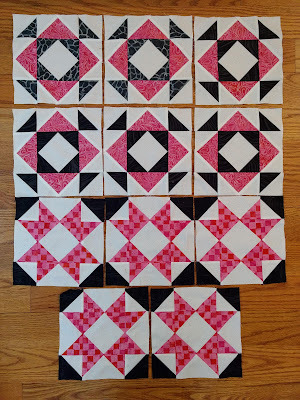 For the Mosaic blocks, I'm using the pink Check it Out print and the black for these blocks is a snakeskin print! I made the flying geese first, then the square in a square blocks, and finally the half-square triangles. One of my biggest struggles is making flying geese. I do better with the four-at-a-time method than the stitch and flip method, but I still sometimes have geese that end up a little wonky or have to make larger geese and trim them all down. 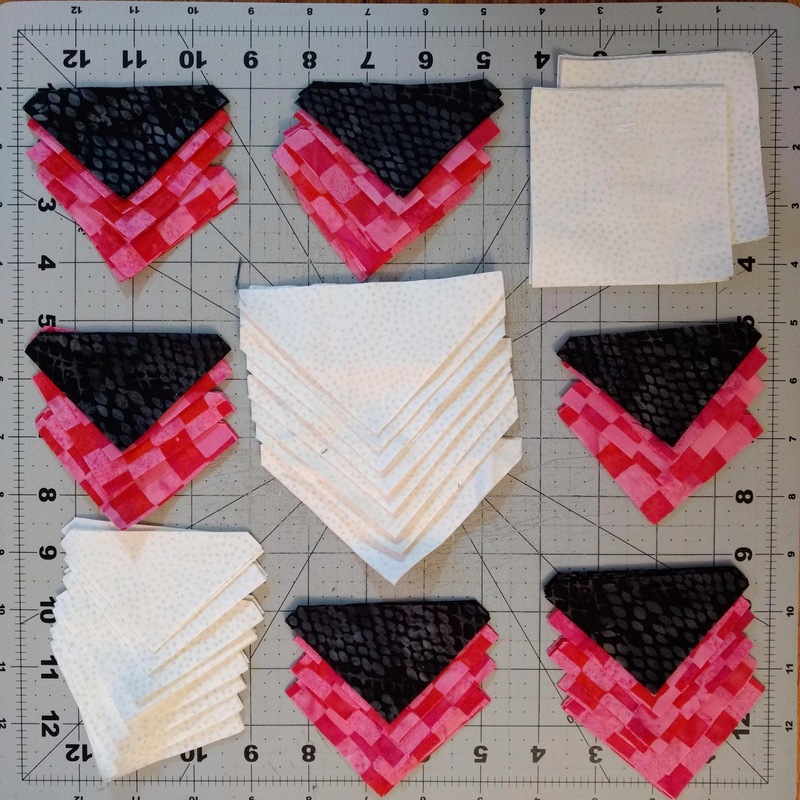 All of my flying geese units made with the Accuquilt-cut units turned out nearly perfectly sized without having to trim. There will definitely be times where I'll choose this method over other flying geese methods going forward. Bippity boppity boo -- eight perfect Mosaic blocks! I interspersed these blocks with my previously made Depression blocks to see what my quilt will look like! I'm not planning to add sashing -- and I picked these blocks specifically for the secondary designs they create when paired -- can you see the broken dishes blocks that will appear in the intersections? Now I have 14 finished blocks, and only 11 more to make! I'll need to make 6 additional Depression blocks and 5 additional Mosaic blocks. 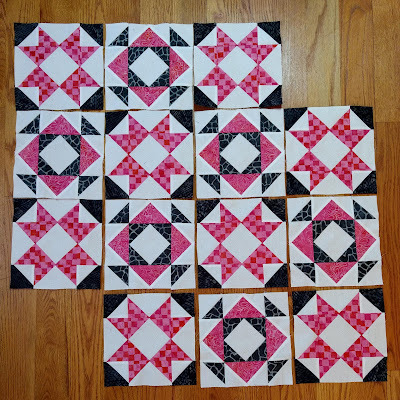 I have a few more black fabrics that will be mixed into my upcoming blocks but I believe I have enough of these two pink fabrics that I won't need to add in the third pink fabric that I set aside as a back up!